A new GV10 Android set-top box has been unveiled this week which takes a step further than most of the available Android boxes currently available, by offering users live TV broadcast support. 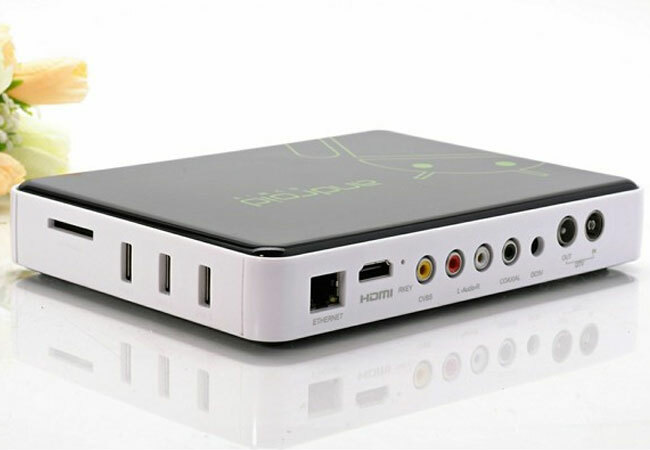 The GV10 Android set-top box has been designed to support live TV broadcasts where DVB-T digital TV is available, and is equipped with a full HD 1080P hardware video decoder. 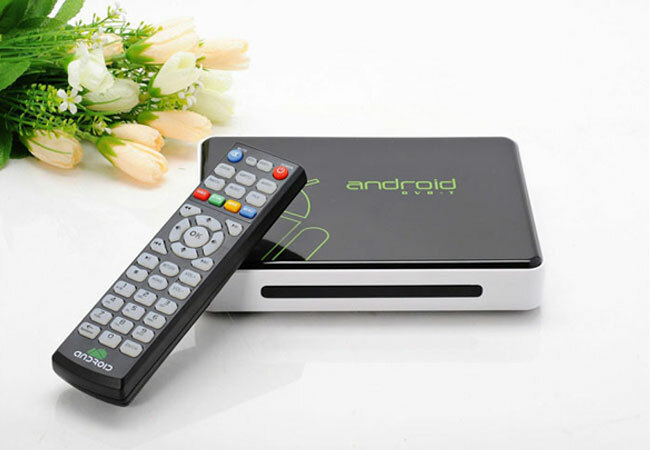 The small factor GV10 Android set-top box is powered by a Amlogic AM8726-M3 ARM Cortex-A9 processor supported by 1GB of RAM, with 4GB of internal memory included. The GV10 Android system comes supplied running Google’s Android 4.0 Ice Cream Sandwich (ICS) operating system, and if fitted with an SD card reader, 3 x USB 2 ports, Ethernet, audio and video jacks and HDMI output. The GV10 Android set-top box is now available to purchase for around $100.